I don’t care if I never see downtown Vancouver on a layover again, as long as we continue to luxuriate in these posh airport digs, and from me that’s pretty big talk. The five-star hotel is not just attached to the airport, but is perched feet from the USA Departures terminal, and the view from the relaxation chamber that other hotels might try to pass off as a mere “room” is very often of the airplane that has delivered you there. But not to worry: if this reminder of your fast-approaching a.m. departure threatens to foul your mood, the blinds are easily closed, noiselessly and automatically, at the push of a button beside your comfy bed. I am generally only too happy to complain about these airport-adjacent hotels — I see plenty of airplanes, thank you, without having to look at them out my hotel window or lay awake listening to them scream in and out of town. But the main feature of the Vancouver airport layover is the long, deep — and sparkling clean — soaking tub, and frankly there are nights when the 5-minute stroll from the suspicious and swarthily handsome customs agent to the smiling and solicitous front desk staff of what amounts to your own personal spa cuts into tub time; the distance from arrival gate to lobby can reasonably be measured in feet, and most nights I’m in such a rush to slip beneath the bubbles that I wish it was closer. And I come prepared for Vancouver Tub Time. 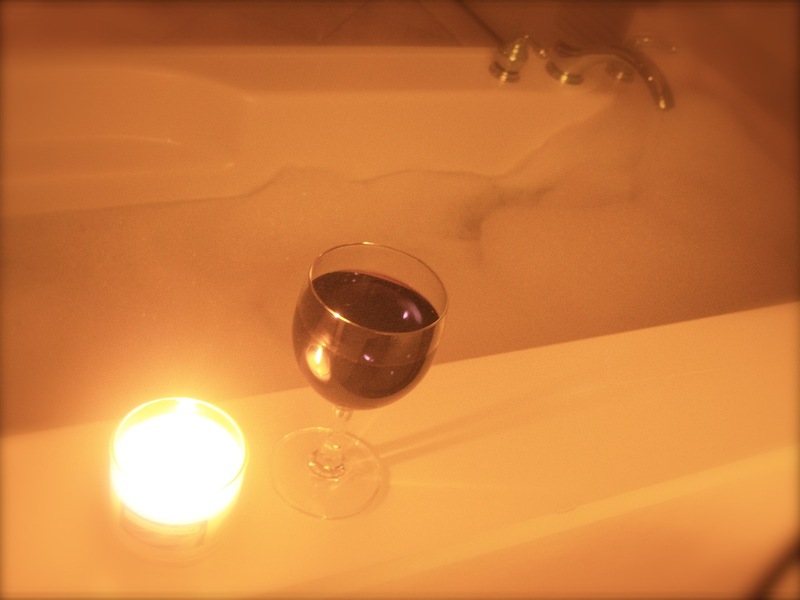 Candles, wine, yummy bubbles — I have speakers for my iPod purchased and packed specifically for the acoustics of this very bathroom, and a selection of chill-out playlists to help wash away even the stubbornest care or woe. And the night I ended up there on an unforeseen reassignment without my bubble bath — potentially a very stubborn woe — the toothsome and accommodating youth at the front desk did not hesitate to fetch some from the spa and deliver it to my room himself. I labor under few delusions about my job. Anymore, unless the airplane skids off the runway or a passenger drops dead, we’re expected to hand out Cokes (or, on flights to YVR and other Canadian airports, tomato juice of all non-refreshing refreshments) and keep the pages of Us magazine from sticking together by flipping them past the same hundred photos of every blessed thing that can be considered even tangentially Kardashian. When the crews from my airline, this author included, criss-cross the terminal, our outfits are not slick, and our hair is almost never regulation; we’re usually eating popcorn, and we are frequently trailed by a cloud of Duty Free cologne “samples.” My passion for bubble baths is real and should not be underestimated, but other hotels (albeit ones that I no longer visit from the Denver base) have glamorous bathtubs. 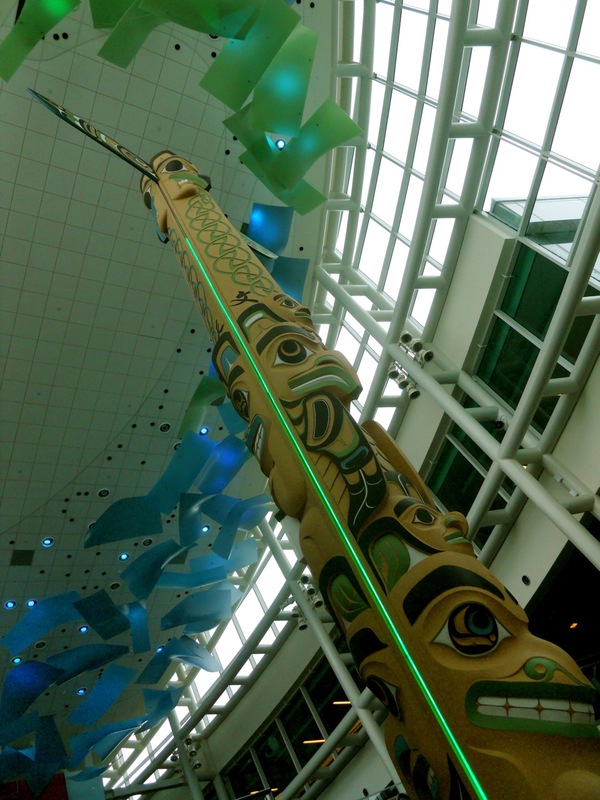 I think the real reason I’m so in love with the Vancouver airport is the way, with its observation deck and its polyglot people-watching, it makes flying seem fancy and fun again. If only for the duration of a layover. 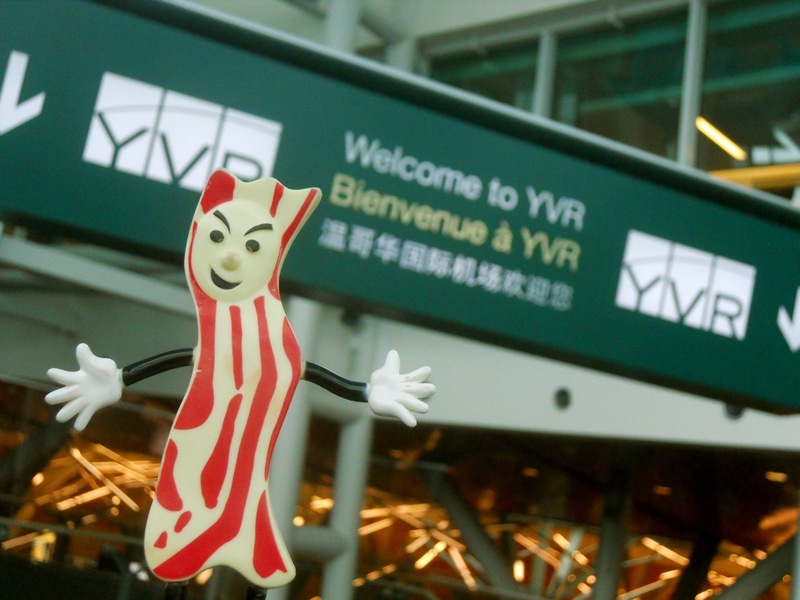 You make me want to travel to Vancouver, just to see the airport.